If you're looking for a very affordable Android tablet that can also work as a phone, then you might to check out the freshly announced Cherry Mobile Superion Probe. This release is a full-fledged tablet that allows users to make GSM calls and to send text messages. And since there's a single SIM slot, you can also use mobile connection to browse your favorite websites, watch Youtube videos, and update your Facebook, Twitter, and Instagram accounts. Priced at only Php 3,999 (believe it! 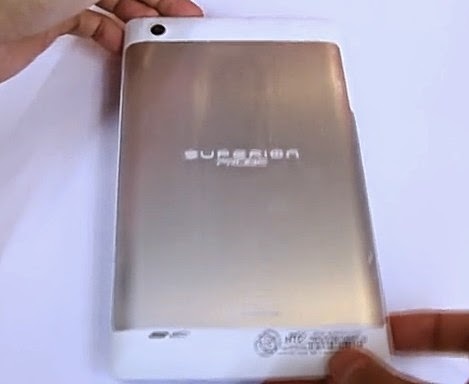 ), Cherry Mobile Superion Probe flaunts a 7-inch WVGA display, 2 MegaPixel main camera at the back, 0.3 MegaPixel front cam, and a 3,000 mAh Li-Ion battery pack. As for innards, the tablet runs Android 4.2 Jelly Bean operating system with its 1.2 GHz ARM Cortex A7 and Adreno 302 based Qualcomm Snapdragon 200 MSM8212 chipset, has 1 GB of RAM, and 4 GB of internal storage. In terms of connectivity, the device supports WiFi, Bluetooth, and 3G HSPA+. 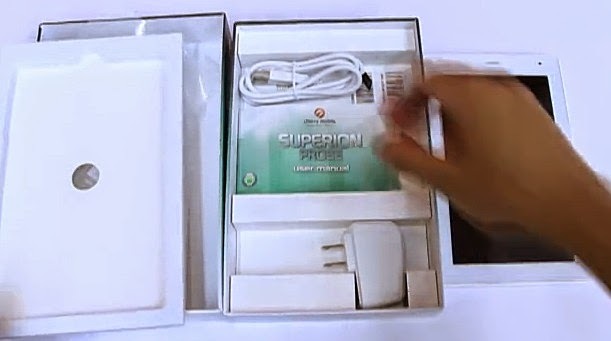 Like previous Superion releases by Cherry Mobile, the Probe comes with a simple packaging made of paper. The key features and some technical specifications of the product are also printed on the box. Joining the tablet inside the package, we have the user manual, charger, and microUSB to USB connector cable for charging the Probe and connecting it to your PC. 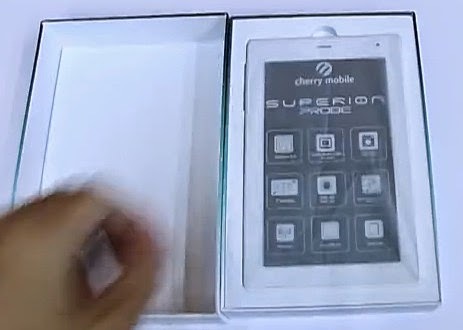 Cherry Mobile Superion Probe is now available at all CM Concept Stores, Kiosks, and authorized retailers nationwide. I believe it's available in two colors: White and Black with back plate made of real metal.